Situated on large PRIVATE lot, this exquisite home in exemplary condition is LOADED w/luxury design & detail thru-out inc: Steel & Iron double front doors, extensive crown molding, wainscoting, granite, stainless app's, 1 gas log fireplaces, & more. 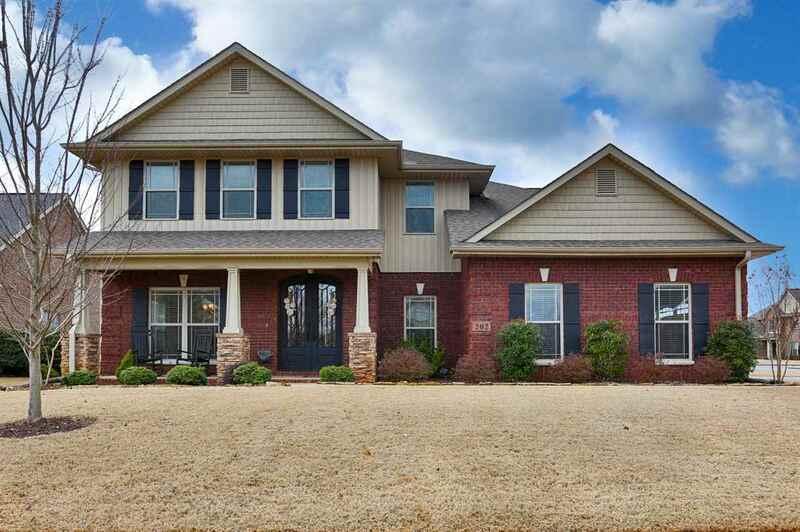 Feat: OPEN FLOOR PLAN w/ 2 story entryway, formal living & formal dining room, isolated main level owner's suite w/ glamour bath w/whirlpool tub separate shower & walk-in closet. 3 bedrooms upstairs all have large walk-in closets.Kitchen w/ granite, tons of cabinets, island prep ceramic floors, backsplash large walk-in pantry. PRIVACY FENCED yard. 2 car oversized garage, front/rear irrigation & gorgeous landscape. Storm Shelter. Move-in Ready!